Entering this week's Masters, Jordan Spieth's recent finishes on TOUR looked like this: 3rd, 2nd, 1st, T17, T4, T7, MC, T7, 1st. If the season ended today, Spieth's caddy would rank inside the top 125 on the PGA Tour Money List. It's as hot of a streak as you'll see from a professional golfer, making him one of the biggest storylines in the sport and one of the Vegas favorites at Augusta National. Despite his success, Spieth's swing doesn't receive the same acclaim as his counterparts inside the top 10 of the OWGR. Announcers don't fawn over his fundamentals like they do with Rory, Adam Scott and Sergio and don't marvel at his power like they do Bubba, Jason Day and Dustin Johnson. Regardless, he's built a swing that holds up under pressure and has him ranked 4th on TOUR in Stokes Gained Tee-To-Green. In a recent project for Golf Digest, TPI Certified instructor Cameron McCormick broke down a frame-by-frame capture of the swing of his star pupil. Like the majority of Tour pros, Jordan’s effortless swing is borne of countless hours of practice and sound instruction, but it’s also predicated on his ability to make requisite moves. In their analysis of his swing, Spieth and McCormick refer to several "Body-Swing" principles that we thought the TPI community might find interesting. According to the article, Spieth had an issue with letting his body “Sway” away from the target during the backswing. For those who aren’t familiar, “Sway” is a swing characteristic that refers to any lateral movement away from the target during the backswing. For a deeper dive into Sway, including potential physical limitations that might cause it, read this post in the Swing Characteristic section of our site. While “Sway” isn’t a disaster for some golfers, it’s something that prevents most golfers from reaching their peak power potential due to limited weight transfer. To visualize the importance of limiting Sway, imagine a baseball batter digging in at the plate with their back foot. They are trying to create a stable base from which to load and unload their swing. 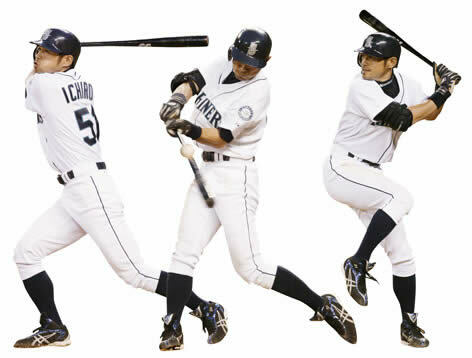 See how Ichiro Suzuki (pictured below) coils around his back leg and drives his weight forward? Despite his diminutive size, Ichiro boasts an above-average bat speed because he is able create leverage from his back leg. Look at this swing. He has virtually no Sway. The same is true in all great power hitters in golf: If there is no stable platform to drive your weight off of during transition, you will lose power and try to develop speed in an inefficient sequence. One of the ways to correct Sway is to use tubing to pull yourself away from the ball (into Sway). It's an example of Reactive Neuromuscular Training where you exaggerate a poor biomechanical tendency so the body learns what it feels like to correct. Oftentimes, eliminating Sway isn’t as simple as correcting a technical problem. To properly coil around the trail hip, golfers must possess adequate hip mobility, specifically the ability to internally rotate. If the golfer cannot internally rotate their trail hip, lateral patterns will dominate the movement. To see if you have adequate hip mobility try the Lower Quarter Rotation. If you have less than 60° rotation in either hip, you're limited. 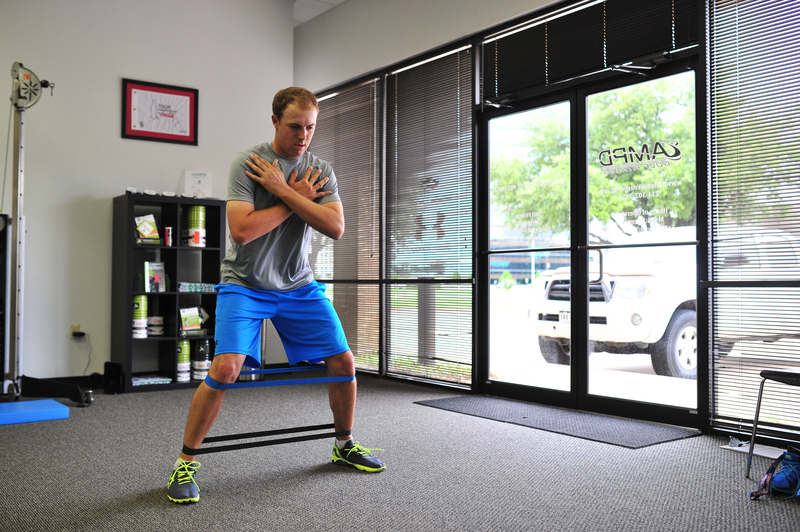 To improve mobility, you can refer to the original Sway link in this article for tips or visit the TPI exercise library. Whenever you're trying to increase rotation, it’s important to focus on improving mobility in your hips and your thoracic spine, not your lumbar spine, as the lumbar region of your torso is primarily responsible for stability (here's a great post from World Golf Fitness Summit presenter Mike Boyle on exercises to avoid). Additionally, the ability to lateraly stabilize the lower body during backswing is directly propotional to the strength and stability of your glutes. It's no surprise that Jordan incorporates "Mini-Band Circuits" in his workouts and his warm up. Jordan's ability to stabilize not only helps him in the backswing, as TPI Certified instructor Shaun Webb notes in a subsequent Golf Digest article, it also sets up the rest of his swing. "Jordan makes a full turn at the top of his swing, but he does it without swaying his lower body to the right. This lets him transition correctly into the downswing and move in good sequence." Spieth's elite ball-striking comes in part because he rotates both his upper and lower body so well through the downswing. 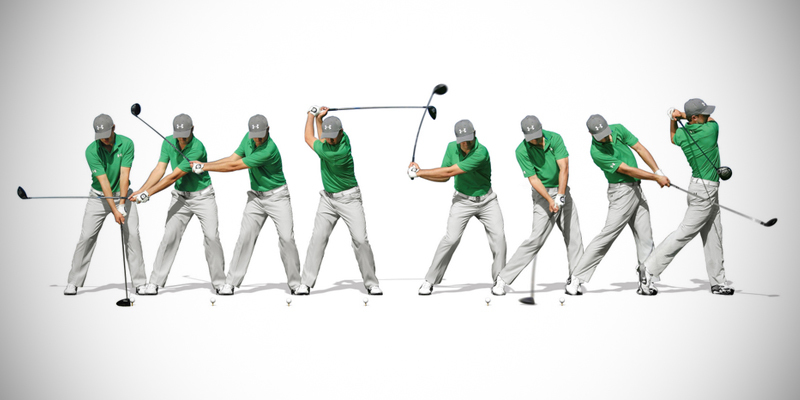 "Most amateurs have the tendency to stop their body rotation leading into impact," Webb says. "That hurts accuracy and power and leads to mis-hits. Here, you can see how much more he's turned at impact than the average 20-handicapper, on the right." Players who rely too much on their hands and arms to square the clubface and strike the ball typically struggle to generate power and hit the ball solidly, McCormick says. "That's not the case here. Jordan continues to pivot with his body long after the ball is gone. It's a great move for amateur golfers to copy." "To get the feel of a good transition and improved body rotation in your swing, start without a ball and your feet together," Webb says. "Before you get to the top, step toward the target with your lead foot and swing through to the finish." In addition to highlighting a few pitfalls that plague many amateur golfers, we feel like these anecdotes underscore how mindful Spieth and his TPI Certified team are of the capabilities of his body as it relates to his golf swing. McCormick identified the tendency to Sway and communicated with trainer Damon Goddard and physio Troy Van Biezen who emphasized hip mobility and activation. While a few drills and increased mobility might not make you a Masters contender, you can achieve that same team approach and with it, better scores. Great Article. Thanks again Dave. Great article and outstanding instruction! I can't even begin to describe the positive transformation I've experienced with the Step-Change Drill, alone. Absolutely amazing! I wish I had a before and after video...you wouldn't believe it. Little to no divot and the most solid strike you've ever heard. Thanks TPI. Amazing article! Thank you Dave for bringing us deep into it! Great insight into Jordan's swing. Thank you for sharing and congrats to Jordan! !